Graduating from Sheffield University in 2011, Harmeet is the Principal Dentist at Park Dental Care. 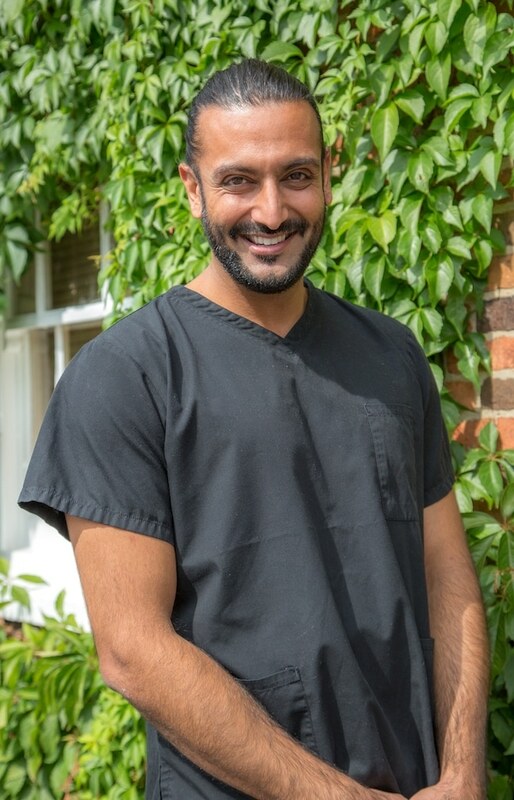 Harmeet has furthered his skills and knowledge in Cosmetic Dentistry by completing the highly-regarded Chris Orr Cosmetic Dentistry course and undertook additional training in 2012 on London’s prestigious Harley Street to treat patients for Botox® and Dermal Fillers. In 2016, Harmeet completed his training with Invisalign and is now able to straighten teeth with clear aligners. Harmeet is our Implant Dentist and is able to provide fixed solutions for missing teeth. Last year Harmeet completed his Implant training at the Campbell Academy and has now recently begun the advanced course. In his spare time, Harmeet enjoys going to the gym, football and spending quality time with his family and friends.